ECA Community Interest Company have worked on a diverse range of community planning and design projects in rural and urban communities. Our varied client base includes Neighbourhood Forums, Parish Councils, Local Authorities, Charities and the voluntary sector. Our community planning projects include neighbourhood plans, community consultation for the Borough of Poole on behalf of the Heritage Lottery Fund and Churchill Gardens Renewal for Boscombe Regeneration Partnership. As a ‘Neighbourhood Planning Champion’ for Locality, Martha Covell MRTPI (Chartered Town Planner) provides on-going informal advice to local groups on a voluntary basis. This includes training and presentations to community groups. Neighbourhood planning and the practical application of up-to-date legislation. Preparation of robust, sound, planning policies which stand up to Examination. Facilitating the production of ambitious neighbourhood plans through effective project management techniques which engage people over a long time period. Managing diverse groups of people who sometimes have conflicting views. Creation of unique community consultation techniques for diverse audiences, obtaining qualitative feedback. Funding applications to Central Government bodies and agencies such as The Big Lottery, The Arts Council, Locality and also Local Authorities and charities. 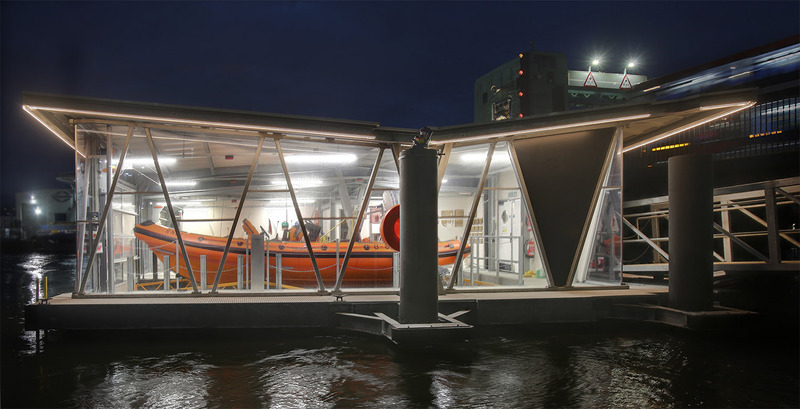 Designed and project managed community building projects, including a clubhouse for Poole Harbour Canoe Club, a new pavilion for Fernheath Sports Association and a new boat house for the RNLI. Managing large diverse groups of people and delivering challenging consultation programmes. Most recently in 2018 we directly met with over 970 people in our Boscombe and Pokesdown Neighbourhood Plan Consultation Program (Reg. 14). Our social media (facebook) campaign reached 14,685 people. Poole Quays Forum Neighbourhood Plan: Facilitator, project manager, character area assessment, preparation of policies and technical support, funding applications, consultation material, management and delivery of consultation program. Okeford Fitzpaine Neighbourhood Plan: Technical advice, application for Locality (Direct) Support, Policy writing, consultation, management of meetings with community members and developers with conflicting views. Maypole Square Public Realm Renewal Project: Sketch designs, fun days, community consultation, partnership working. Poole Quay Renewal Project: Masterplanning, partnership work, facilitation. Fernheath Sports Association: Planning permission, community engagement, design of new sport pavilion in a diverse community. Boscombe and Pokesdown Neighbourhood Plan: Facilitator, project manager, character area assessment, preparation of policies, Housing Needs Assessment, funding applications, management and delivery of consultation program.